With a ChefQuip Planetary Electric Mixerquality and efficiency are guaranteed. Our heavy duty electric mixersare built to extremely high specifications. We primarily supply our electric mixersto commercial catering kitchens, but also have a loyal following in the private sector. For anyone who loves preparing top-notch dishes, our electric food mixersare for you! What sets our Planetaryelectric food mixersapart from other brands is their reliability and versatility. By using a Planetary heavy duty electric mixeryou can achieve consistently high standards and tackle large tasks with ease. Benefit from our years of experience working with professional chefs and experience the supremacy of our electric stand mixers. We know what our customers need from an electric mixer, and our models are designed to meet those demands. Our reputation as the leading stockist of the best electric stand mixers is second to none! We do not sell cheap appliances, but due to hard-wearing performance and increased efficiency, they will pay for themselves in no time! We offer a range of electric food mixers, available in 8 different sizes. Our smallest is the 5 Litre Planetary electric stand mixer, perfect for amateur chefs and domestic kitchens. This is an ideal electric cake mixer, and also useful for vegetable and dough preparation. At the other end of the scale, we have the huge 80 Litre Planetary freestanding electric mixer. 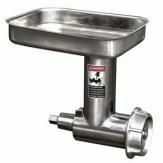 This is an excellent investment if you run a large, busy kitchen, such as in a hospital, hotel or school. The heavy duty electric motors in our whisk electric mixersensure high capacity jobs are always successfully completed. 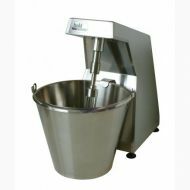 But our most popular commercial electric mixeris the 20 Litre model. Like all of our electric mixers, it is a multi-purpose machine. Planetary electric food mixershave a selection of interchangeable utensils; create batter and bread dough, slice vegetables or whip potatoes with the correct attachment.